Who’s his daddy? Who’s his mommy? 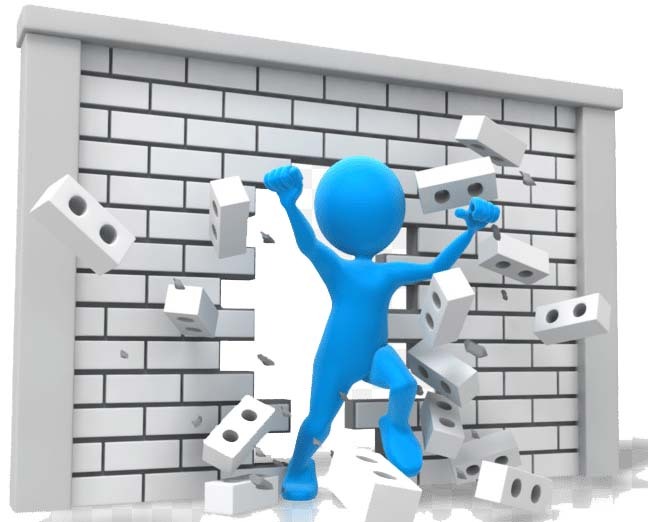 At some point, every genealogist encounters a “brick wall” ancestor. These are the ancestors whose document trails baffle, frustrate, and block all attempts to trace and extend a family tree line at least one more generation further back. Running into these obstacles is inevitable. But sometimes, it is possible to break through them or, at least, chip away at them. My 2X great-grandfather, William T Hughes (1823-abt 1875), is one of my particularly frustrating brick wall ancestors. I first learned that William Hughes was my great-great grandfather from the family bible that belonged to my maternal grandmother. The image below (see Image 1) shows the page on which my grandmother recorded her Hughes and Kienlen family trees. In the upper left-hand corner of this page, she noted William T Hughes was born in Corinth, Kentucky. That’s it. There is no other information about him included on this or any other page in this family heirloom. Image 1. Family Record pages showing “Daisy Hughes Clark Family Tree” from Hughes-Kienlen Family Bible. The entry for William T Hughes appears in the pop-out section to the right. So I’ve been trying to answer this question for the past several years now. In that time, I’ve spent countless hours examining documents, combing through online databases, and analyzing other published family trees on Ancestry.com and Family Search. I’ve googled every search term I can imagine hoping that the search results would reveal new clues about William T Hughes and his family. I’ve even been lucky enough to travel to Kentucky in pursuit of an answer to the question of his parentage. While there, I visited the local libraries and historical/genealogical societies in Owen and Scott counties to search their collections. Although I spent several days combing through numerous books, vertical files, and microfilm rolls, I did not uncover that key piece of information that I had hoped I would find. At this point, I realized that all of my research had revealed quite a bit about his life after he married my 2X great-grandmother Amanda Lancaster (1828-1906) in 1843. However, I had found nothing about him before that time. After all this time and research, I had to accept that the document trail had ended. I couldn’t go back any further in the Hughes ancestral line beyond that family bible entry. That’s when I realized I had encountered a classic “brick wall” ancestor. My Hughes family line stopped there. Okay. I am publicly admitting that I have hit a brick wall here. While I have gathered several sources recorded after William and Amanda’s marriage, I have not discovered any single, definitive piece of direct evidence linking William T Hughes to his parents. So, I moved on to the next step. This is where the experts suggest listing and describing every source and document that I have been able to uncover about William. An additional critical part of this step is to thoroughly re-analyze each one carefully. By doing so, I might uncover new information or gain a new perspective that would lead to identifying potential parents for William. Although using this strategy did not guarantee success, I was willing to try it out. So I started this in-depth review and my original plan for this blog post included sharing the results. I was going to lay it all out there and hope that a distant cousin or more talented family historian would find it and suggest alternative ideas or sources to research. Better yet… S/he would share that elusive “missing piece” and my Hughes Family wall would come tumbling down. But… guess what? As I was working through the process, I realized that my brick wall was actually beginning to crumble. The strategy appeared to be working. As I looked more closely at the details included in each source and scrutinized every piece of information, I searched for hints that I might have missed before. I also spent a lot of time thinking about and devising ways to re-arrange the information into tables or other formats and looked for any patterns that might emerge. What I uncovered was an intricate array of “bits and shards of evidence” that linked together to reveal one set of potential parents. As I mentioned above, my plan was to share my results in a single blog post. But the whole story has become just too complex for that. There’s just too much information and so many pieces to this puzzle to fit it all into one overly lengthy post. A tedious post such as that would test any reader’s endurance. To avoid that, I’ll share the re-examination results through a series of posts. Finally, I intend to demonstrate that the information presented in each post contributes to a body of evidence that supports a strong case identifying Nathan Hughes, Sr (1775-1858) and Mary Davis (1789-1860) of Owen County, Kentucky, as the likely parents of William T Hughes. “Kentucky, County Marriages, Scott County, 1803-1883,” digital image, Ancestry.com (http://www.ancestry.com : accessed 29 January 2019), entry for William Hughes and Amanda Lancaster, 20 December 1843, image #141 of 331. George G. Morgan, How to Do Everything Genealogy, 3rd ed. (United States of America: McGraw-Hill Education, 2015), 434. Elizabeth Shown Mills, Evidence Explained: Citing History Sources from Artifacts to Cyberspace, 3d ed. (Baltimore: Genealogical Publishing Company, 2015), p 15. ← Previous Previous post: There’s gold in them thar’ notarial records! What you present is both a hypothesis that Nathan Hughes, Sr. and Mary Davis are the parents of William T. Hughes, and an appeal to others to assist you in proving or disproving it. Genealogy is a lot like good science: It’s hard to do, takes a long time, and requires energy to keep going. I commend you for your patience, persistence, and your ability to tell a story that is interesting and entertaining. Your use of your scientific skill set serves you well as a genealogical researcher. Keep going. I look forward to reading more stories. Forward . . . or in your case: backward. Thanks for reading the blog and for your very kind review of it. I also greatly appreciate your words of encouragement. Next installment… a brief look at what I do know about William T Hughes. Thanks for reading. I’m working on it now and hope to have it posted by the end of this week.